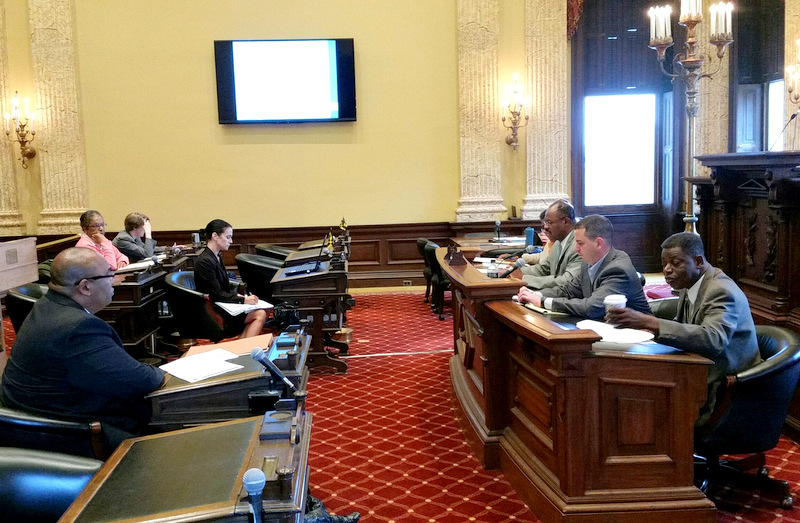 Despite a record of “zero done and 13 to go,” the director of finance told a City Council committee that all agency audits – including those of police, public works and the Baltimore Development Corp. – will be finished by December 2016. That’s the deadline of a voter-approved amendment to the city charter, which calls for the completion of 13 agency financial reviews by the end of Mayor Stephanie Rawlings-Blake’s term in 2016. The amendment was inspired when Councilman Carl Stokes questioned the mayor’s plan to close youth recreation centers because the city had no funds. When Stokes asked to see the agency’s books, “There were no books and no audited records for the last 30 years,” he said. The Brew reported last week that none of the voter-mandated audits has been completed. Yesterday, Stokes’ Taxation, Finance and Economic Development Committee wanted to know why. Finance Director Henry J. Raymond offered many reasons why five agency audits due last June – then rescheduled for early September – have been pushed back to the end of 2015. 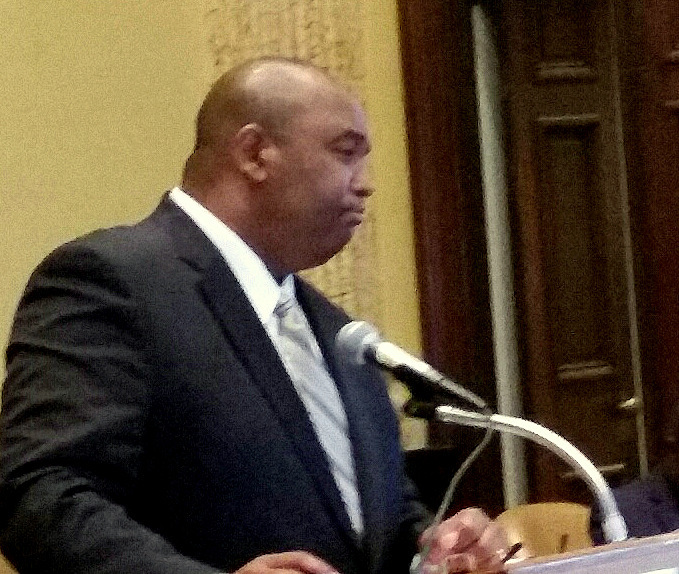 Among the reasons he cited: the unexpected complexity of the audits, insufficient personnel to respond to requests for data, turnover in the leadership of one agency and the Baltimore riot in April. “There is a backlog in preparation of some of the financial data,” Raymond explained. “As I indicated earlier, originally we anticipated that agency staff would be involved in developing the financial statements. Due to the complexity, we realized that the information would have to be prepared by BAPS [Bureau of Accounting and Payroll Services]. “It also became apparent,” he continued, “that any follow-up requests for data from the external audit firms were being directed to BAPS, not to agency staff. The thought is, since the agency staff did not compile the financial statements, they were not in the position to be able to respond to the external auditors’ requests for data. The April riot in Baltimore also caused unspecified problems for the audit process, Raymond added, as did “the change in leadership” at the police department (although the ouster of Commissioner Anthony W. Batts took place after the police audit blew its original June 30 deadline). City Auditor Robert L. McCarty Jr. told Stokes’ committee yesterday that the Finance audit done by his department was in draft form. He said the report could be completed and released in the space of a few weeks. As for the next round of audits – for Fire, General Services, Housing and Community Development, and the Mayor’s Office of Information Technology (MOIT) – Raymond said they will take much less time. However, in response to questioning by Costello, Raymond said the three audit firms under contract do not have the staff to conduct more than one agency audit at a time. Expressing concern about this “lack of capacity,” Costello asked if the city needed to hire more firms. “No, at this point we cannot use additional external auditors because we went through a formal competitive process,” Raymond said. The administration originally selected four companies – SB & Co., Hamilton Enterprises, CliftonLarsonAllen and McGladrey – but McGaldrey has dropped out. “No. Let me be very clear. The charter amendment clearly indicated that the agencies have the prerogative to choose between the Department of Audits or an external audit firm. Raymond said he would consider “reaching out” to some agencies and asking them, “‘Who do you want, external or Department of Audits.’ If one of them said, ‘I choose the Department of Audits,’ we can do what you suggest,” he told Costello. Raymond promised to “circle back” to Costello in the next several weeks to tell him if some of the audits can be expedited. After the hearing, Councilman Stokes said he was “not overconfident” that the administration would finish the reports by the 2016 deadline. From now on, Stokes promised, the Finance Committee would keep a closer eye on the progress of the audits.